A lot of users like to mess around with the inner engine room of the X-Plane Simulator to further enhance or to create things that will extend the usability of the simulator. 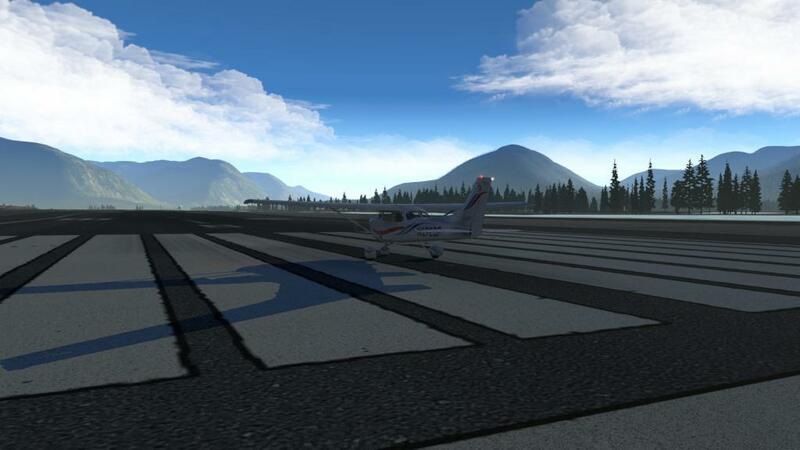 This is the creative element at work and pretty well what X-Plane in its form is all about. Personally unless it is an addon that won't get into or change the inner basics of the actual Laminar Research settings and files then I really won't want to go messing around under da hood. Yes I use a lot of addons and plugins, but mostly only the really tried and tested ones, and because of the testing and the reviews do require the standard system as a set benchmark to see anything abnormal of the subject under the spotlight. Winter Texture modifications do replace core X-Plane assets, but the MOD system allows for a quick switch over the the standard assets in a keystroke like when you are ready to do say update or do a review in a very short space of time using the standard assets. It gets messy as well if you start using a lot of different modifications, and you will find your system suddenly behaving quite abnormal with all those different changes, most modifications do work very well in a single instance, but together can also create complexity and can interfere with each other... in others words slow down the efficiency of the simulator. 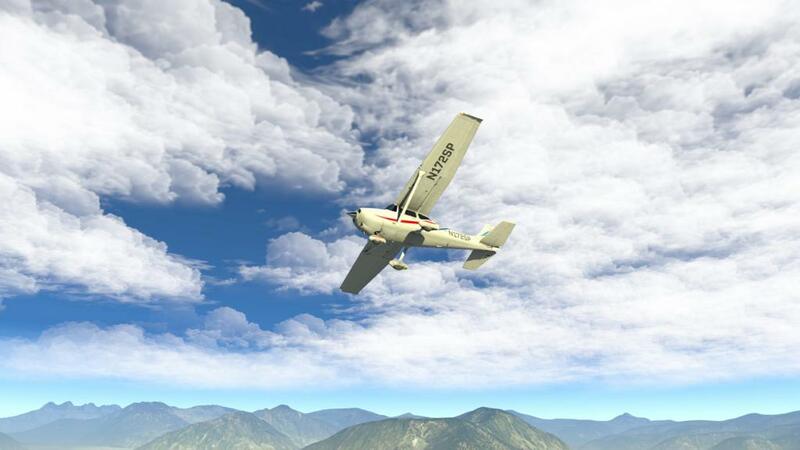 If one total aim that I strive for above all the other factors in X-Plane is in all its glorious complexity is just simply its performance and efficiency. But the one area in non-advancement of X-Plane and in mostly X-Plane10 has been the Weather. 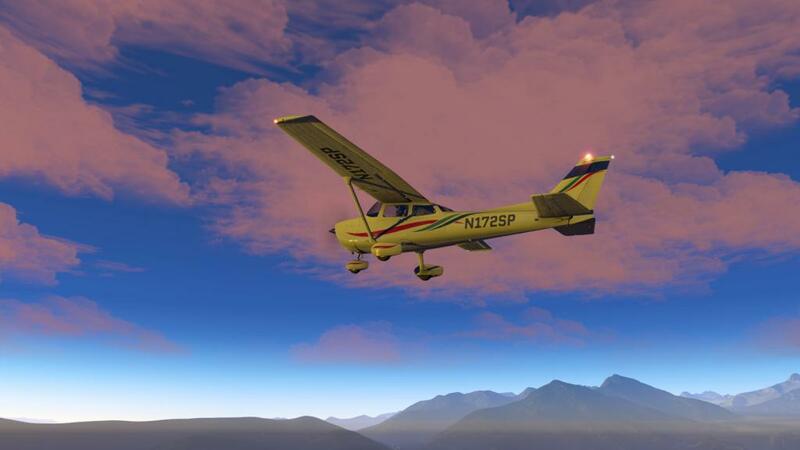 The release of X-Plane10 brought with it Austin's "Little Puffs". 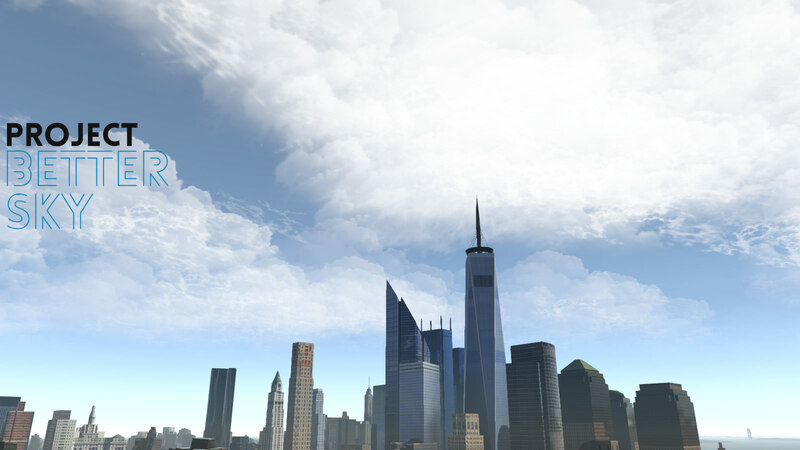 A great idea to created 3d clouds, but it also created a framerate monster killer in the process, it worked but not very well and as other areas took away Laminar's attention as it was mostly resided into the "Too hard basket". Yes over the years there has been refinements, but the overall system needed a larger makeover and not just a "fix it up" approach. 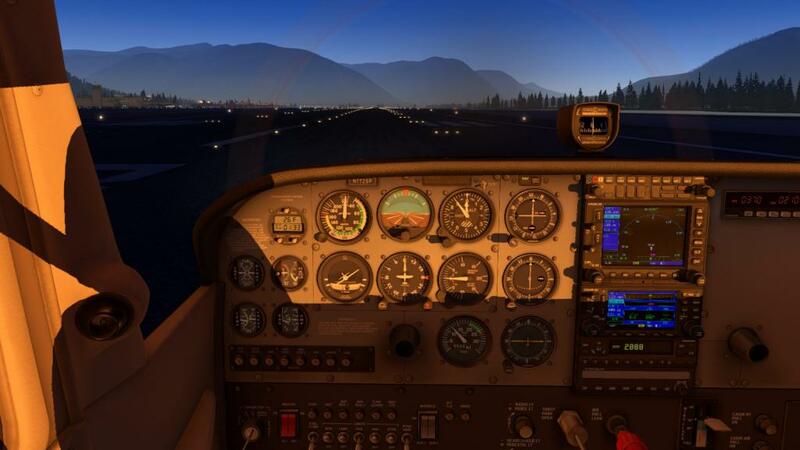 Laminar Research has noted that for X-Plane11 they are right now doing a lot of refinement to the visual weather system in X-Plane, and not before time. Over the years then it was up to the twiddlers and creative souls to try to come up with a better solution. 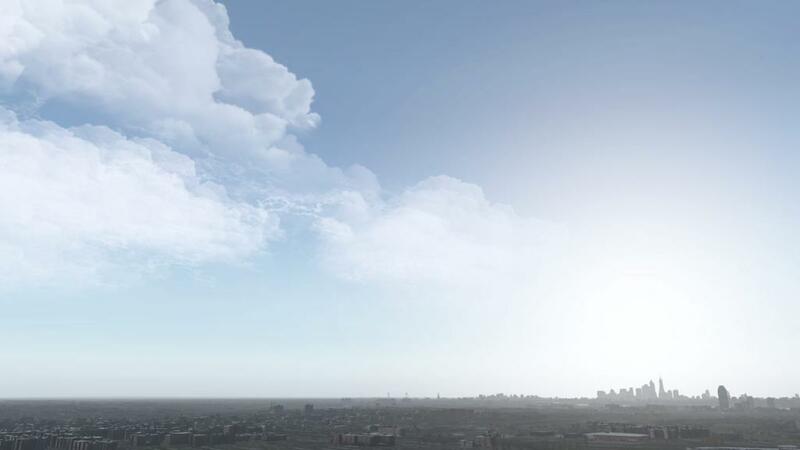 So there has been hundreds of Sky enhancement packages that mostly and usually focus on X-Plane's sky colors and clouds, these sets have created almost a wide spectrum of results and mostly in the horrible and gaudy aspects that sometimes made you think you were flying on Mars and not the blue orb of Planet Earth. A few years ago the weather situation changed for the better with Sundog's Sky-Maxx Pro which was the first really good Environment Engine, then at the end of 2016 came xEnviro's excellent Environment Engine that I simply endorse for anyone using X-Plane, as it has changed my flying aspects completely. But the addon cost and certainly for xEnviro is high (but you get what you pay for) and for a lot of users they run their simulations on a budget. So here is an interesting project called "BetterSky' that does actually deliver on what is promises to do and above all it is free. First a note in that BetterSky does change your default files deep into your system's file structure. But it does this with a LUA script and a program called Flywithlua. Yes, yes, yes messy internal stuff, but the results are favorable and the results now in v1.1 is showing a lot of promise. The visual effect is a big step up from the current standard X-Plane look, and it comes with the same framerate hit that already have. 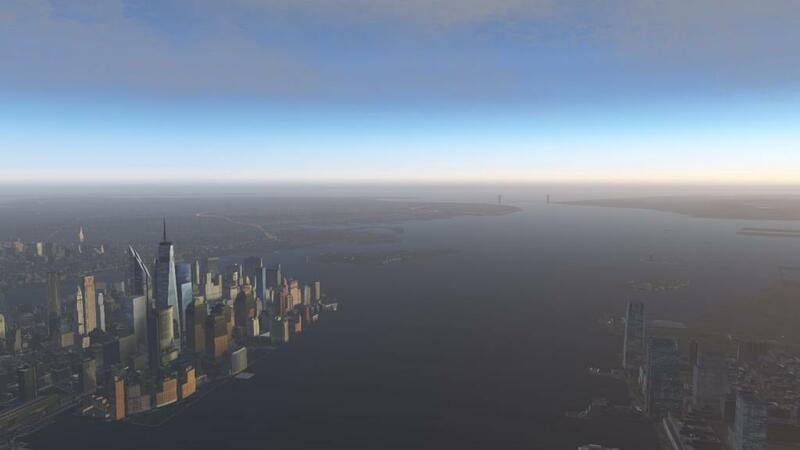 The project is more focused on X-Plane11 because the new mist or hazed view makes the feel a bigger advantage than in X-Plane10. The images are mightily impressive, and also fixes that banding (bug) problem we currently also have with the XP11 betas. 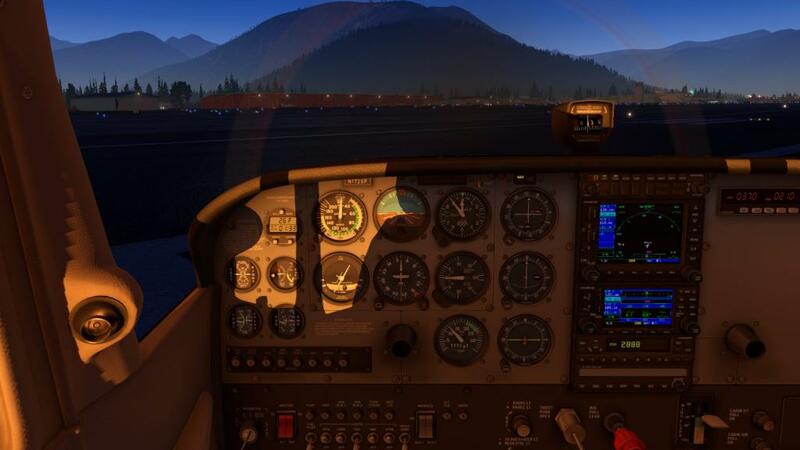 We are yet to see what Laminar has in fixes for the visual weather look in coming, but here is a fix now that can make a difference to your flying. I could bore you senseless with exciting images that I have seen and created since the release of X-Plane11 and with the combination of running xEnviro in creating an environment of sheer realism. 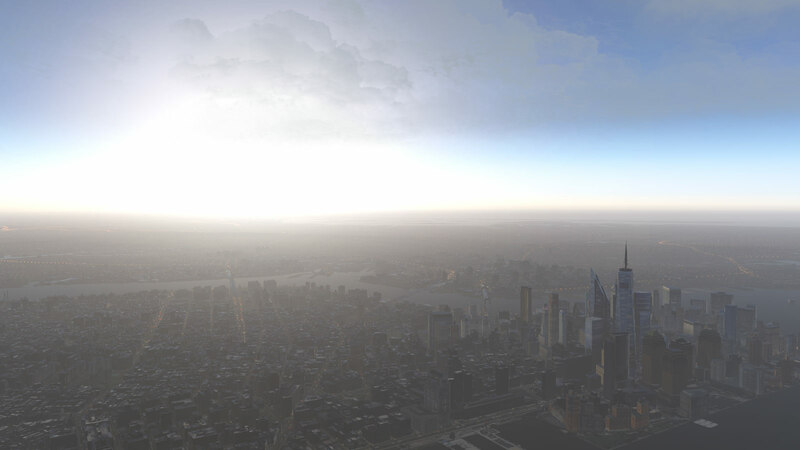 The point I am making is that I have experienced the rewards of great simulation with the weather component working effectively and it is looking like 2017 is (finally) turning out to be the game changer in the weather area of X-Plane.